The human right to identity of countless undocumented migrant bodies is being disregarded by the inadequate body management and identification efforts – more must be done. Have you ever stopped to consider what happens to the bodies of undocumented migrants when they die trying to reach the shores of Europe? Who they are, who mourns their loss, where and how they are buried? The nameless and un-mourned bodies of undocumented migrants feature prominently in the lived experiences of the Mediterranean coastal towns where they wash up – the triangle connecting Tripoli, Zouara and Lampedusa has been nicknamed “the black zone” by locals because of the countless corpses floating around – but they are conspicuously absent from the broader migration narrative and from the rhetoric of many influential actors involved in policy, academia, and the media. This blind spot is unsettling. Policy makers urgently need to discuss undocumented migrant body identification from a human rights perspective and to address the shortcomings of current management and identification efforts in European countries. The International Organization for Migration’s “Missing Migrants Project” estimates that there have been 16,003 migrant deaths and disappearances in the Mediterranean since 2014. Like the estimates on living undocumented migrants, the true figure is likely to be much higher due to the difficulties of tracking those that do not wish to be tracked, and of counting bodies that have sunk below the surface of the waves. Most of those bodies will likely never be found. Those that are found will just as likely never be identified. This is partly because of the inherent difficulties of identification in this context: there is no readily available information on the migrant’s nationality, route, or family relations; any personal belongings or identification documents may be ruined or rendered illegible by the water; and the bodies that have drowned are usually found as they resurface from the sea floor during decomposition, at which point they will have begun to lose physical attributes and appendages. Identification is also hindered by the lack of national legal provisions for dealing with migrant deaths – and the ensuing issues with funding, overlapping mandates, and incoherent policy – which means that there is currently no systematic collection or storage of information that would be useful for future identification efforts. The triangle connecting Tripoli, Zouara and Lampedusa has been nicknamed “the black zone” by locals because of the countless corpses floating around. Identifying these bodies thus comes with many challenges, but it’s certainly not impossible. This has been proven by the success of Italian authorities’ identification efforts following three shipwrecks off the coast of Lampedusa. For one of these shipwrecks the Italian National Commission for Missing Persons and its team achieved an impressive 58.5% identification rate by rigorously following best practices for the treatment of the dead; by engaging in a multi-stakeholder process that combined a range of scientific approaches; and by utilising diplomatic and civil society to contact the victims’ families for ante-mortem information. In another case, forensic scientists and anthropologists managed to identify bodies that had been submerged for a year within the vessel, thus proving that identification is possible with DNA technology even in the advanced decay or skeletonisation stages of decomposition. “With a little bit of money, a lot of goodwill and some hard work”, said Vittorio Piscitelli, the head of the Italian Commission, “it can definitely be done”. 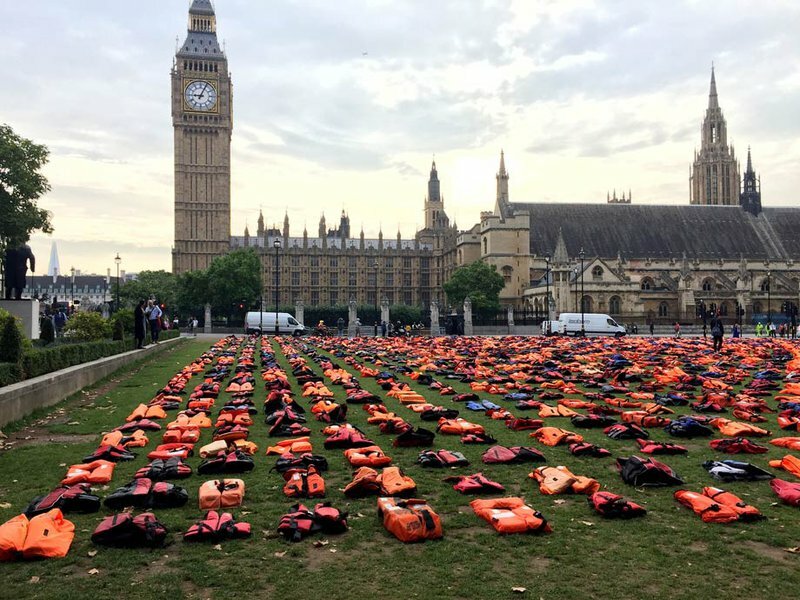 The next logical step is to provide this service to as many dead migrants as possible, not just those on large-scale shipwrecks that receive political and media attention. European states have the specialised bureaucracy and the technological capacities required to improve their attempts at identifying migrant bodies. They also have the money, considering that the EU’s budget for the management of external borders, migration and asylum will increase from €13 billion to €34.9 billion in the coming years. As a start, experts recommend establishing a centralised database to collect the relevant information (photographs, gender, nationality, DNA, burial locations), as well as standardising the procedures for body management and identification. The feasibility of identification only strengthens the human rights argument of properly attempting to identify the migrant bodies for the sake of the individuals, the families, and the states involved. The right to be identified after death is universally recognised in domestic and international law. Beginning with the 1949 Geneva Conventions, a range of international frameworks have been developed for dealing with identification after death, including the 1956 UN Handbook of Vital Statistics Methods, the ICRC Guiding Principles on the Missing, and Interpol’s Disaster Victim Identification. The common imperative of these frameworks is that identity and identification is a human right that extends past death. But states’ recognition of this human right seems to be dependent on the circumstances surrounding the migrant deaths; the deaths of ‘regular’ migrants (tourists, students, businessmen) in accidents and disasters are met with large-scale international responses that include advanced technological equipment and specialised teams while the deaths of ‘irregular’ migrants are met with bureaucratic ambiguity and administrative inaction. Identity and identification is a human right that extends past death. The contrast is striking, and it emphasises the differences in value that societies place on human lives. An undocumented migrant is implicitly considered, as Judith Butler put it, “an ungrievable life, one that cannot be mourned because … it has never counted as a life at all”. More systematic and concerted efforts for undocumented migrant identification would remedy the state of invisibility that many have been subjected to during their journey by restoring the name, story, and humanity that they had previously been stripped of. The naming that comes from identification efforts would also push back against the normalisation of undocumented migrant death and the securitisation narrative that surrounds them. Identification efforts would also restore dead migrants’ links to their families and communities after death and provide closure for those who were close to them. The families have to live every day without knowing the fate of their missing loved ones, and this often leads to psychological or psychosocial problems, as well as economic and administrative complications regarding funeral arrangements, remarriages, inheritances, guardianships, and land ownerships. Taking these many burdens into account, it seems crucial to incorporate the families into the narrative of migrant death and the process of undocumented migrant identification. This would facilitate access to practical information and acknowledge the emotional component inherent in the passing of a loved one. It would also improve the visibility of the families, who are rarely able to exert political pressure to demand accountability, justice, and commemoration. Even the states involved in the management of undocumented migrants are likely to benefit from promoting identification efforts. The current policy vacuum around dealing with migrant bodies has created a dissonance between the values that states proclaim and the actions they take to uphold them. This dissonance has human rights implications because of the way in which it consistently undermines the rights to human dignity, freedom, and equality of dead migrants. With states choosing to frame undocumented migrant deaths as accidents rather than direct consequences of their intensified border control policies, it is no wonder that some critics have gone so far as to call the Mediterranean the “graveyard of European values”. Developing and implementing specialised policies for the identification of undocumented migrants would provide much needed coherence to states’ approaches to migration, as well as facilitate social inclusion by proving to the living migrants they are hosting that their lives are worth the same as those of their own citizens. Until now, the issue of undocumented migrant death identification has been lost in the wide and complex narrative of migration. But it is important that we begin to consider the human rights implications of ignoring this topic, as well as the inherent value of implementing policies that facilitate identification. There are human rights in life and in death for all human beings, and the consistent denial of these migrants’ identity – of their name, their family, and of the life they fought so hard for – through inadequate identification systems should be considered a human rights violation. For the sake of the individuals and their families, and for the credibility of the European project, more can and must be done to address this.